Head for the ultimate jaw-droopingly beautiful honeymoon spots in the UK and forget Maldives and St. Lucia. However, it’s just not possible to go on a lavish honeymoon sometimes after the wedding of your dreams. Getting panic? Don’t be so. This is because you can have a fabulous stay-cation in the UK’s best honeymoon destinations. That’s why we’ve rounded up the most unusual and amazing honeymoon places in UK. Moreover, it’s a bonus for you if you’re staying in the UK that you need not a baggage allowance for the tour. What are the Top 10 Honeymoon Spots in the UK? As the honeymoon is the dream moment of your life, it must be memorable and incredible anyhow. Because of this, you spend a lot. But, you might not get the full satisfaction and it can spoil your trip to somewhere. This is why we’re here with some top honeymoon destinations in the UK so that you can make your honeymoon unforgettable. Now, let’s see what the top 10 honeymoon spots in the UK. 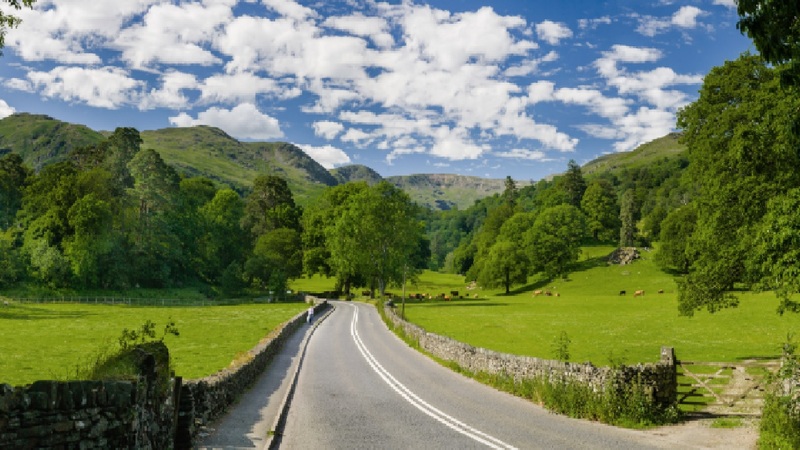 The Lake District seriously delivers when it comes to breath-taking scenery. England’s biggest national park is famous for towering mountains that’s recently awarded UNESCO World Heritage status. There are the beautiful vast lakes along with stunning landscape and pretty stone cottages in this place. Not only it has inspired the poets and writers but it’s perfect for the romance as well. So, this is one of the beautiful honeymoon spots in the UK that you’ve ever seen. Moreover, there are hiking up fells and you can see the beauty of nature from a steamboat. Besides, there are affordable hotels for relaxed luxury, think roll-top baths, and private terraces. With rolling green hills, charming chocolate-box villages, and an excellent foodie reputation, the Cotswolds were made for romantic getaways. It’s a dream come true for newlyweds because it’s named as an Area of Outstanding Natural Beauty in the South of England. If you want to explore the picturesque villages and quiet countryside, simply hike, bike and pack a picnic. Also, you can stay in the real gem of hotels with a dreamy spa and the incredible restaurant in one of the affordable honeymoon destinations. So, all are set for your total enjoyment during your romantic moments. The Scottish Highlands are about something magical. This is everywhere you turn the epic landscape of majestic mountains along with the spectacular lochs and waterfalls. Moreover, colorful heather and ancient castle ruins will increase your memory of the honeymoon. You’ll find plenty to do here, including mountain biking and white-water rafting as adrenaline-junkie newlyweds. Also, you should take a walk through the awe-inspiring scenery; visit some of the most beautiful castles in the world if you’re after a more chilled honeymoon. After that, you can settle down for some of the best food and drink of Scotland special. They feel a world away because the Isles of Scilly are just off the coast of Cornwall. Head here to really get away from it all with your new Mr or Mrs for the non-crowded, non-spoilt and with an enviable laid-back way of life. Also, from the subtropical charm of Tresco to the untamed beauty of St. Agnes, the five inhabited islands each have their own vibe. Besides, there are many luxurious hotels tucked away in a secluded cove on the ruggedly beautiful islands of Scilly. If you want to discover the beauty of Northern Ireland, you have to take a road trip along the iconic Causeway Coastal Route. This world-famous drive will take you past ancient castles, the gorgeous Glens of Antrim, picturesque coastal villages starting off in Belfast. And there is a magnificent natural wonder that will take your breath away on the Giant’s Causeway. This is because it’s one of the best honeymoon places in the UK. Head to Devon for everything from long, sandy stretches to secluded pebble coves if it’s beaches you’re after. You definitely won’t be stuck twiddling your thumbs for things to do because it’s packing in two stunning coastlines, two national parks and five official Areas of Outstanding Natural Beauty. There are country pubs with tasty foods for relaxation after exploring the many little-hidden villages along the coast. Besides, you’ll be happy with your beloved one with the hospitality of the hotels. If you want to head over heels for this Scottish beauties then get the preparation to visit the Isle of Skye. Not only is the home to some of the most captivating scenery in the world but Skye the largest of the Inner Hebrides. So, when you like to create an unforgettable landscape, you’ll find there rugged mountain ranges, brooding castles, miles of wild coastline, and charming villages. Before heading back to one of the pretty towns or villages for a warm welcome and a glass of local malt whiskey, spend your days exploring the natural wonders of the island. Besides, there are world-renowned Scottish restaurant and lodge with beautiful rooms’ right on the shore of Loch Dunvegan suitable for the foodies. You’ll find a county packed with the glorious coastline, award-winning beaches, and Victorian seaside towns, Pembrokeshire in south-west Wales. You’ll lose yourself in with the staggering views out to sea or the history of Carew Castle. Also, there is Tenby Harbour to watch the world go by with an ice cream. To make the perfect base to explore the area, there are luxury hotels for your memorable honeymoon. You must consider Warwickshire if you want a truly unique place to stay on your honeymoon. Here you’re guaranteed a secluded break away with this beautiful place away in the woods. Moreover, you’ll see walls adorned with seashells and faux-icicles drippings when you’ll step inside the beautiful green locality. These all will make you a feel like a mermaid’s lair and you’ll hope to come back several times! 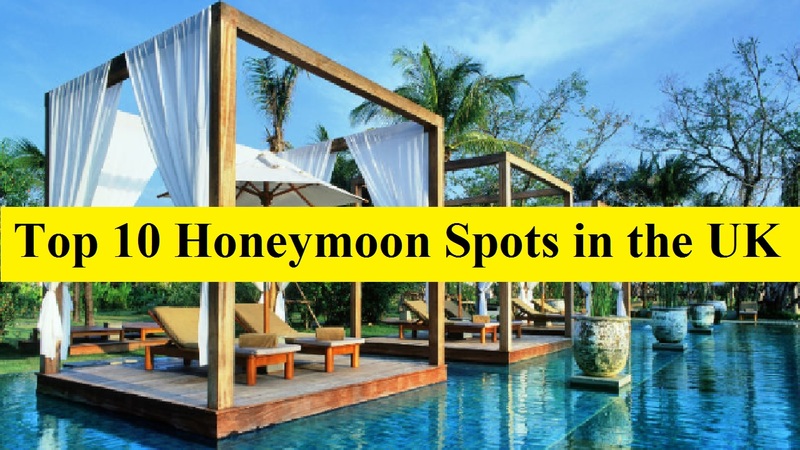 Besides, there are honeymoon ready hotels for couples with all arrangements like a romantic bath chamber with the bedroom with the cool plunge pool. This is for you to take a look at the Merseyside if you and your partner love the Beatles so much. This honeymoon site is located in the vibrant Liverpool city’s Merseyside. It offers sumptuous accommodation in a Grade II listed building, all presented with a Beatles twist because it’s located in the heart of the city’s ‘Beatles Quarter’. So, it’s an essential place to visit for Beatles fans and for you the honeymoon couples as well. These are some of the beautiful honeymoon spots in the UK. There are many more to choose from. These include Buckinghamshire, Cornwall, Herefordshire, Northumberland, Gloucestershire, Wiltshire, Shropshire, Yorkshire etc. they’re not only the best honeymoon destinations in the UK but top honeymoon destinations Europe as well. So, enjoy your married life with these top honeymoon destinations in the UK!